We are rural, friendly 24 place Pre-School and Out of School Club for 2-11 year olds. We are situated in a classroom within Smallwood Academy which allows for a seamless transition to school and Out of School care in a familiar environment for the school’s pupils. We have access to the school’s large outdoor area and encourage outdoor play in all weathers. We follow the Early Years Foundation Stage (EYFS) standards for the learning, development and care for children aged 0-5 years. The EYFS sets out seven areas of development which guide our engagement with your child’s play and activities as they learn new skills and knowledge. The Pre-School room provides care for up to 24 children aged approximately 2-5 years. The 2 year old children are cared for on a 1:4 ratio and 3-5 year olds are cared for on a 1:8 ratio. Children of this age are beginning their journey towards formal learning and we aim to help children prepare for school to enable a smooth transition whilst still providing a fun environment for children to enjoy. Activities in the Pre-School room are planned to encourage development across the seven areas of learning and promote school readiness. We have excellent links with Smallwood Academy and our location within the school allows for a seamless transition to the Reception class. We allocate every child a key worker, who is a named practitioner whose role it is to help your child settle into nursery, make them feel safe and secure, monitor their development and be the main point of contact for the parents. 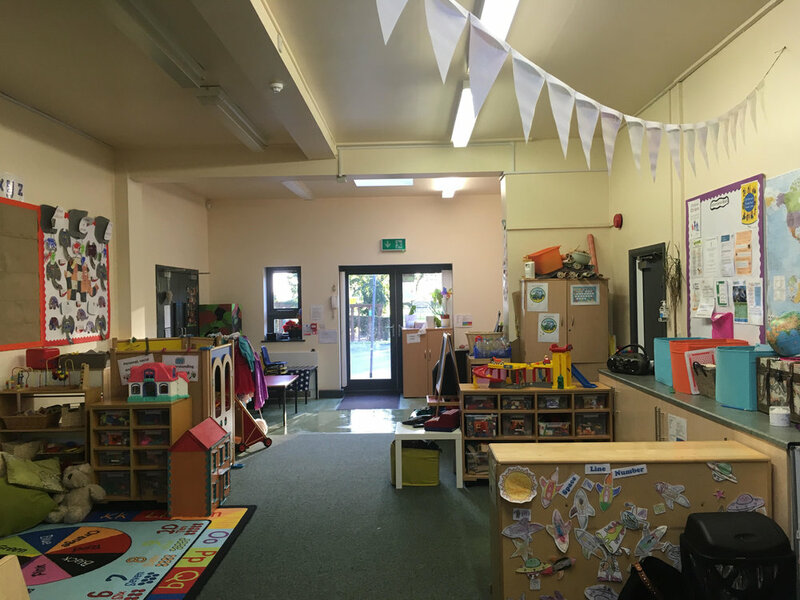 Before your child starts at Pre-School we have a settling in period to allow them to visit the setting and get to know the members of staff and routines. This also allows us to get to know your family and home routines, and you to get to know your key worker. The aim is that on your child’s first day at Pre-School, they and yourself will feel familiar with the setting and feel settled and confident. We usually offer three free settling in sessions of increasing length and this is usually enough for the child to feel settled at Pre-School, however we recognise that every child is different and always offer more settling in sessions if they are needed. At The Coppice we offer children a well-balanced, nutritious snack menu. We follow Government nutritional guidelines including the ‘Eat Better, Start Better’ guidelines. All snacks are prepared fresh daily and we have experience of catering to specific dietary requirements including allergies, intolerances and religious requirements. Children attending the Pre-School sessions have the option to either bring a healthy packed lunch or purchase a hot dinner from the school. Meal times are a happy occasion at The Coppice; members of staff actively encourage children in conversation and tasting of new food. Children sit at tables with their friends and social skills and table manners are promoted. We provide a Holiday Club for up to 24 children aged 2-11 that are attending Smallwood Academy. Children have access to a variety of resources and activities whilst at the Club, such as outdoor play, group games such as ball games and hide and seek, role play, acting and singing, arts and crafts and construction. We aim to make children feel at home and provide a calm and caring environment for them to relax after school. The majority of our activities are child-led and based on the children’s interest and age. In Addition to pre booked sessions (which guarantees a place) we also offer last minute bookings which can be for as little as 1 hour, provided we have a spare place and staff available. Our fees are fully inclusive of wipes, creams, snacks, sun cream and any Calpol needed. We accept payments by bank transfer, cheque or cash. Please give us a call to arrange to have a look around!